Hi friends! 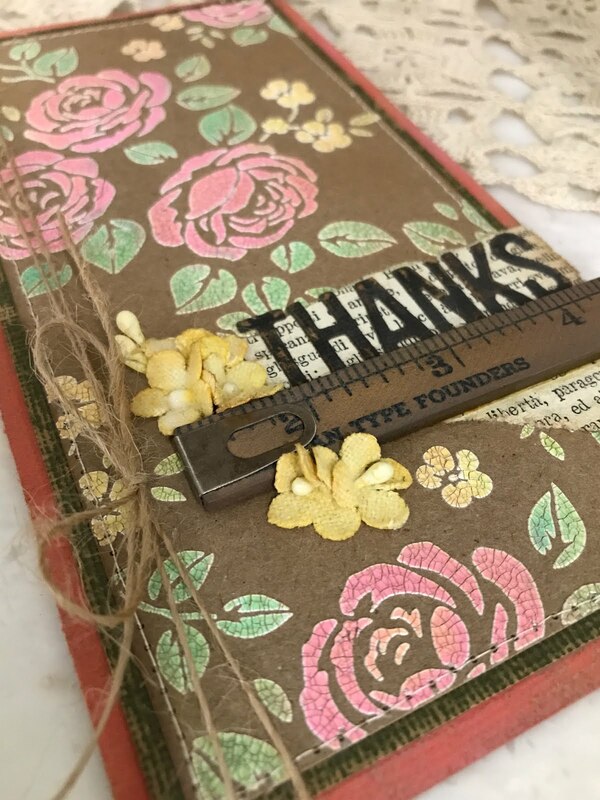 Are you loving all the new releases from Tim Holtz! I've been busy creating project for the holidays and these favorites are going to be workshops in the Northern California area. I hope you will join me for a the fun! Create a Mini Configurations Book full of holiday magic. 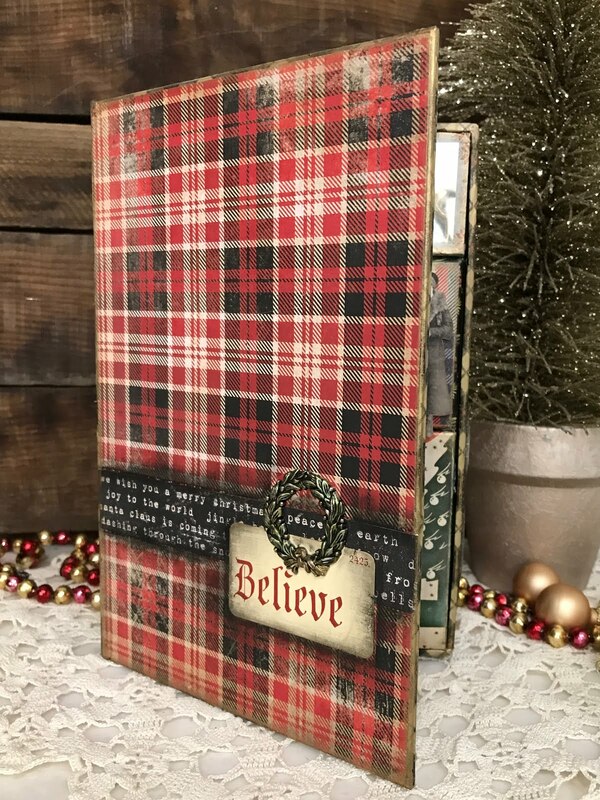 We will explore several techniques using Distress products to create wonderful effects for the perfect holiday decor piece. 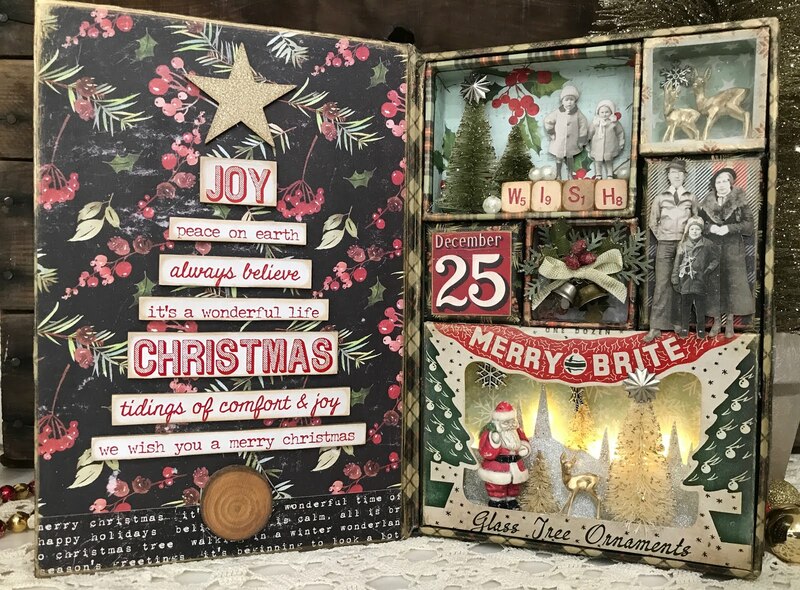 Bring your holiday spirit, put it with creativity and you’ll get “Home for the Holidays”! 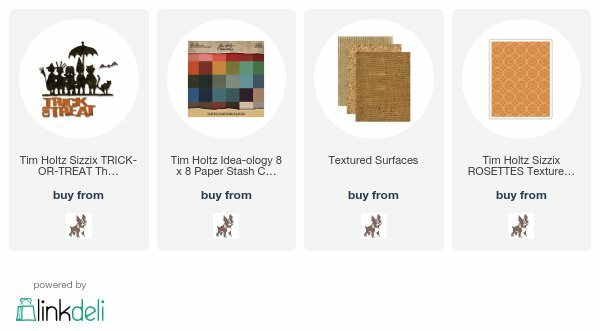 All the trinkets and treasures included to create your project. 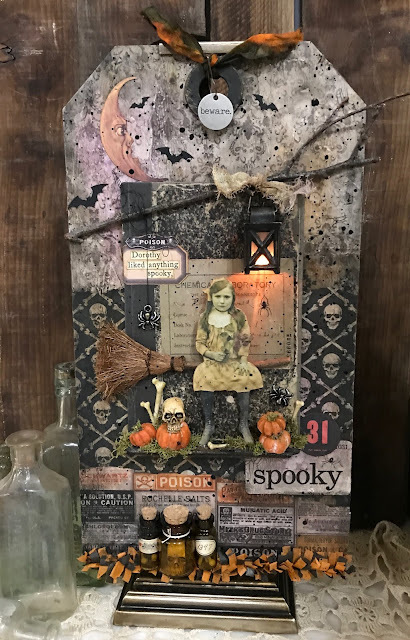 Create this fabulously spooky decor piece for Halloween with Dorothy sitting on her broom (or maybe choose a different character for under the light of the lantern). 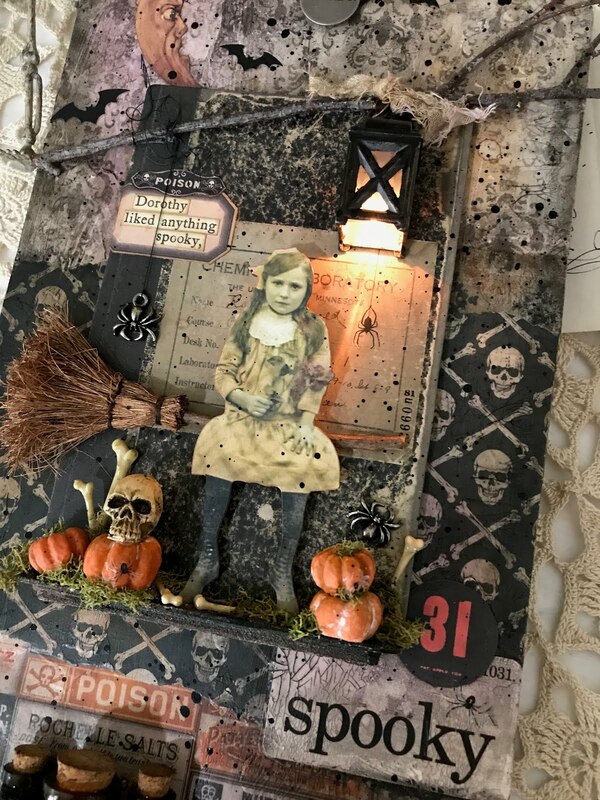 In this workshop you will learn techniques using Distress products like Crazing, Grit Paste, Crayons and more. The base for our project will be an Etcetera Tag and we’ll be adding several layers with lots of trinkets and treasures from Idea-ology to cast a spell of goodness. Hi friends! I'm so happy to be a guest over on the Ranger Ink blog. 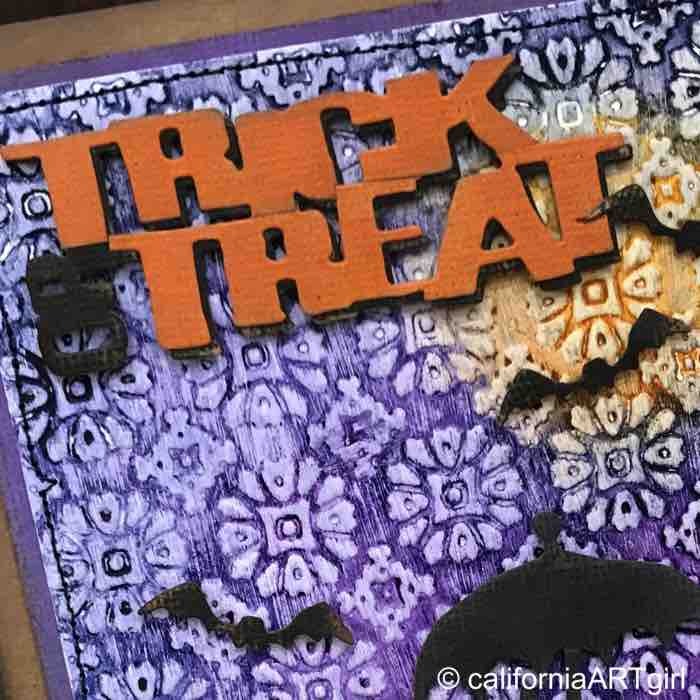 My card features Distress Oxide Inks over Opaque Crackle Paste. I love how the Oxide Ink look over the Crackle Paste. 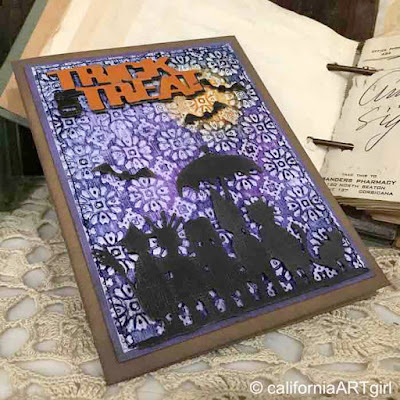 Since the inks are a dye/pigment combo the inks have a little opacity to them and they work well over the paste, kraft cardstock or even black cardstock. It's been fun experimenting and I hope you will give it a try. All the details are over on the Ranger Ink blog. 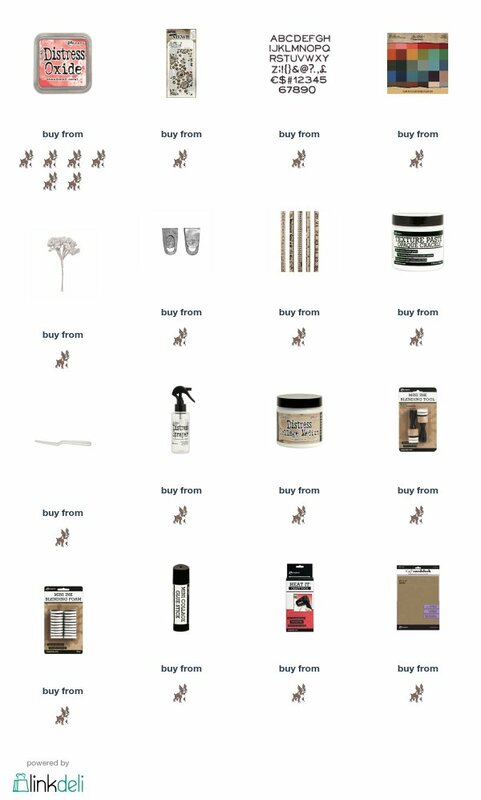 Here are all the goodies I used for this card! Hello friends! Don't you think this is the cutest die cut ever. I love these little Trick or Treaters, they bring me back to years gone by. 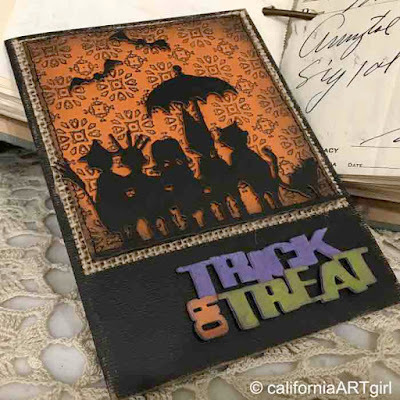 To create the background I inked the raised areas of the Rosette Texture Fade and debased the inked area into orange Cardstock. 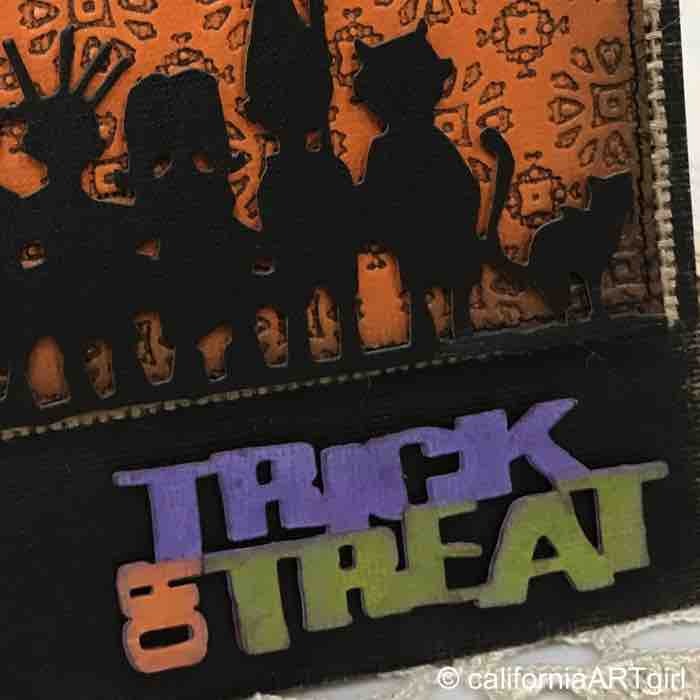 Die cut the Trick or Treat Thinlits die children from black cardstock. Die cut the Trick or Treat words from green, purple and orange cardstock. Cut background into a square and stitch around the outside with black thread as desired. 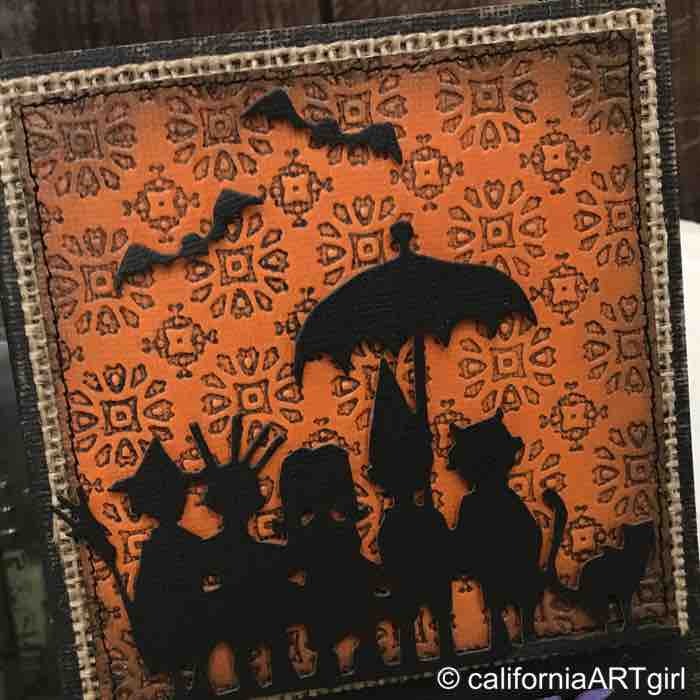 Cut a mat from Burlap Textured Surfaces. 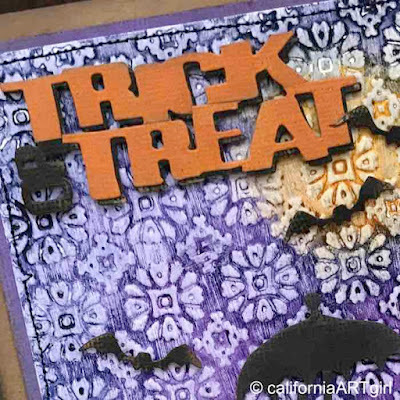 Use the purple die cut for the base and cut the word or from orange and the word Trick from purple. Adhere the words on to the green base. Adhere to card with foam tape. 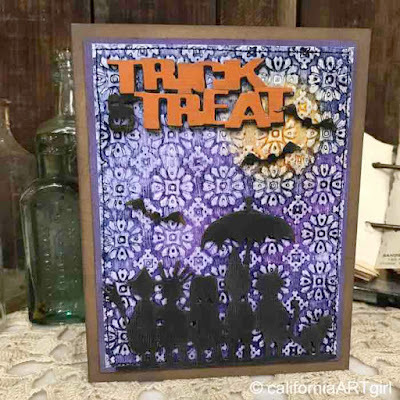 Who wouldn't love to get this card in the mail for Halloween! This card has a different spin on the same Textured Fade and dies. I embossed the Rosette background from Watercolor cardstock and painted a coat of Distress Collage Medium over the top. once dry color the area with Distress Crayons and smudge out with your fingers. once dry take a damp cloth add rub off the area that is raised. 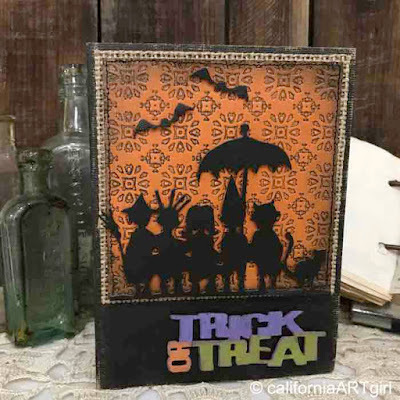 I created a drop shadow by die cutting the Trick or Treat form Orange and black cardstock. Cut the or off the orange and adhere the pieces together and just shift the orange piece up and to the left a little. 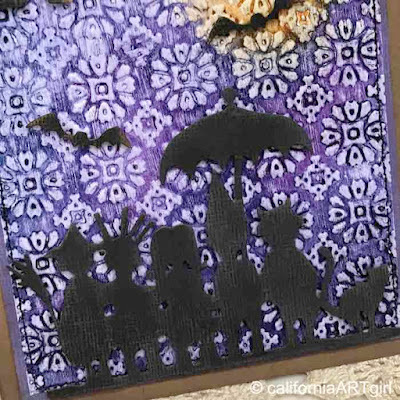 Add the children and a few bats using faom tape to create dimension. I think this die would be so cute on a treat bag or a Mixed Media project.